Sundance Selects has acquired U .S. 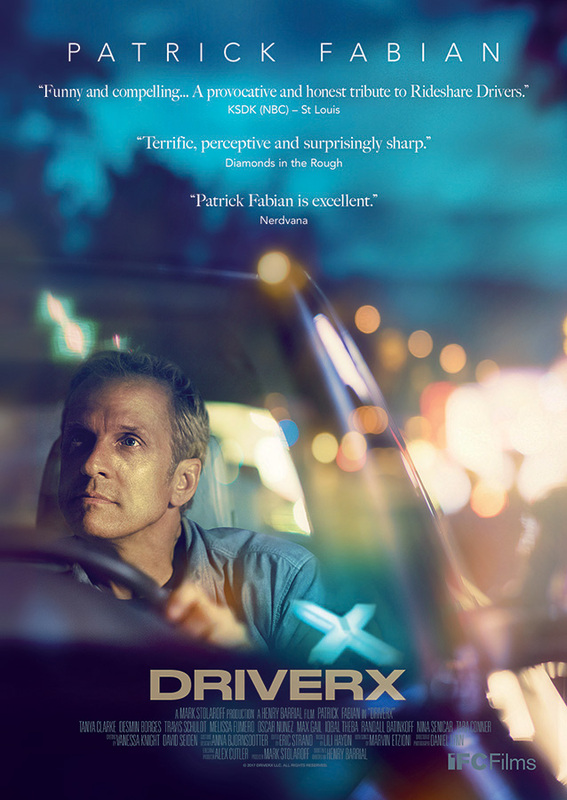 rights to Henry Barrial’s Uber-inspired “DriverX” starring Patrick Fabian (“Better Call Saul”) and Tanya Clarke (“Banshee”). The movie stars Fabian as Leonard Moore, a 50-something stay-at-home dad in Los Angeles who is desperate to find a job and signs up to drive for the popular ride-share company DriverX, leading his marriage to fray at home. The film follows Leonard as he navigates L.A.’s late-night, Tinder-fueled party scene while adjusting to the new technology and the young millennials he drives around. “DriverX” also stars Des min Borges (“You’re the Worst”), Travis Schuldt, Melissa Fumero, Oscar Nunez, and Iqbal Theba. It was produced by Mark Stolaroff and executive produced by Alex Cutler. The new deal for the film was negotiated by Arianna Bocco, EVP of acquisitions and productions at IFC Films/Sundance Selects, and Stolaroff on behalf of the filmmakers. Sundance Selects is planning a theatrical release beginning Nov.30.